If you had a tree fall on your property or have debris that you would like removed, we can come to your home and remove it. This type of clean up service will transform your property and make it look new again. If you have bought a new home or property and the previous owners neglected to clear old debris from the yard, this service is a great way to bring a fresh, clean look to your new back yard and make it your own. We always remove debris, trees and limbs that result as a part of our other tree services and leave your property in a clean condition. We chip the wood that we don’t haul away. Wood chips make a great mulch and can be used to create a natural border on your property. Strong storms can knock down more branches than you know what to do with. Chipping the debris can help clean up your property and leave you with a natural product to spread around your flower beds, driveway, sidewalks and patio. 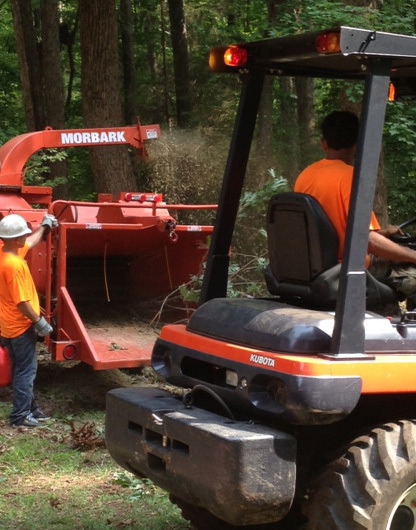 Contact us today or call (919) 808-CHOP/2467 to find out how debris removal and wood chipping can help to transform your yard in Raleigh and the surrounding areas.